First off, they are highly technically competent, and they have a great design. The installations were done on time and as promised. The level of service was top notch. Definitely talk to them, because they have good products and great ideas. Tito is fantastic. He is a great representative. Foremost is their technical knowledge, their savvy, and also their honesty and humility, it's just a good organization of people. Their ability to execute, to figure technical problems, and to be honest and straightforward in the process, their building is straightforward, and their prices are fair. 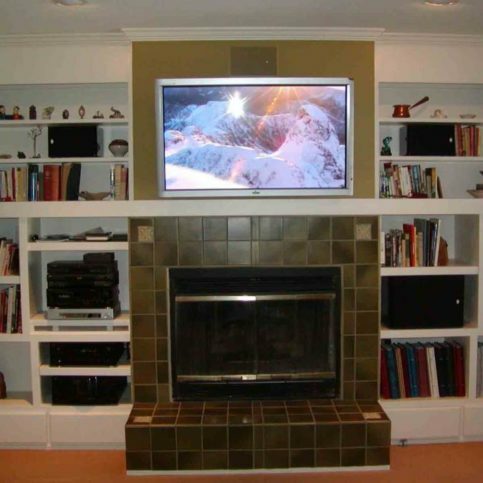 High Definition Designs provides and installs audio, video, home automation and computer networking systems for residential clients throughout the Bay Area. 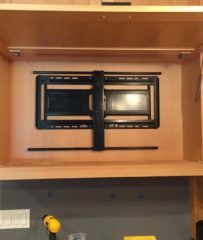 The company handles projects that range from basic television and entertainment center hook-ups for homes to high-end commercial installations for restaurants and wineries. High Definition Designs also offers a cutting-edge home automation system called Control4®, which allows clients to manage every aspect of a home’s various entertainment systems from one centralized location. “With Control4, people can control their A/V systems and more with a handheld remote, an in-wall keypad or an app on their smart device,” explains Mr. Pabon. 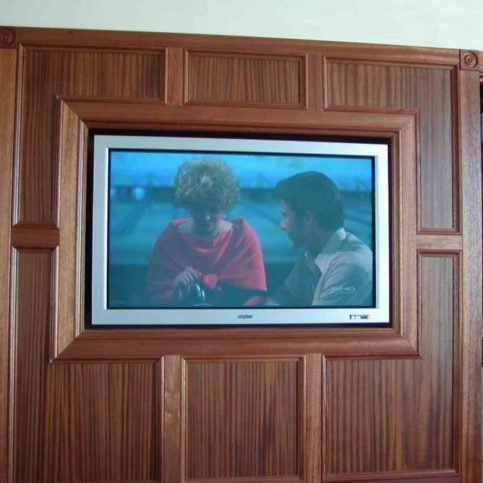 “They can have the very same control via the web when they’re away from home.” High Definition Designs is a member of the Custom Electronic Design & Installation Association (CEDIA). 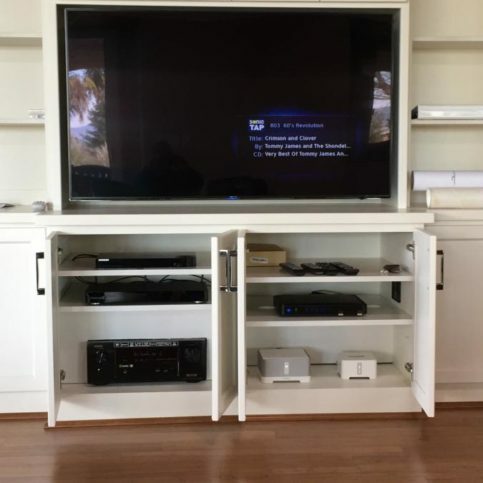 High Definition Designs was established in 1991 and has been designing and installing audio, video, computer and home automation systems in Bay Area homes and businesses ever since. 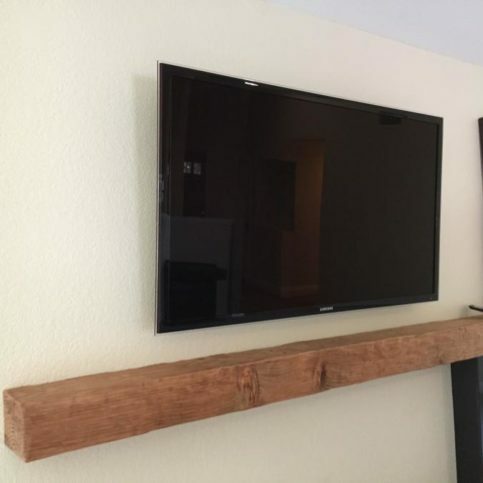 The company has experience with all types of jobs, from simply hooking up televisions to installing home theaters with 10-foot projection screens and surround sound systems. “We handle every part of the process, from designing the system and purchasing the equipment to performing the installation and providing follow-up service,” says Mr. Hage. 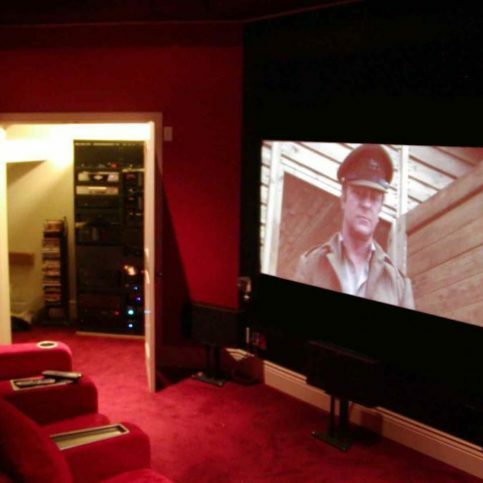 When planning for a home theater, look past the systems and consider the entire experience. 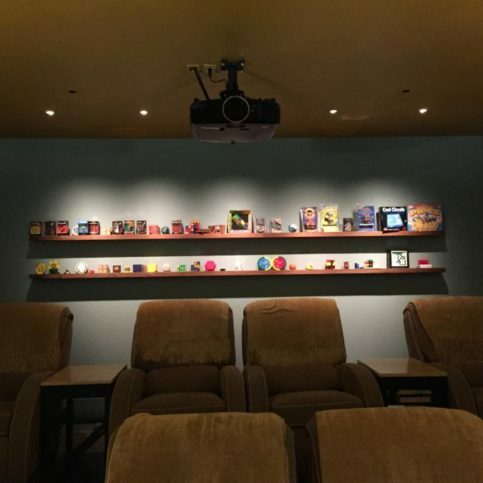 Taking the aesthetic details of your room into account and tweaking your systems for maximum performance will ultimately make your home theater more efficient. 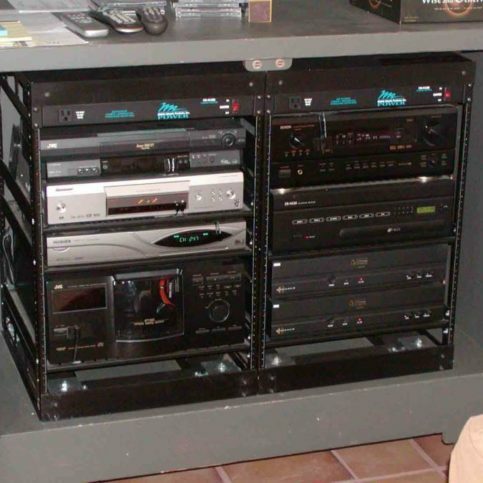 Instead of installing a system and simply pushing play, consider the following tips for maximizing your home theater’s audio/video output. 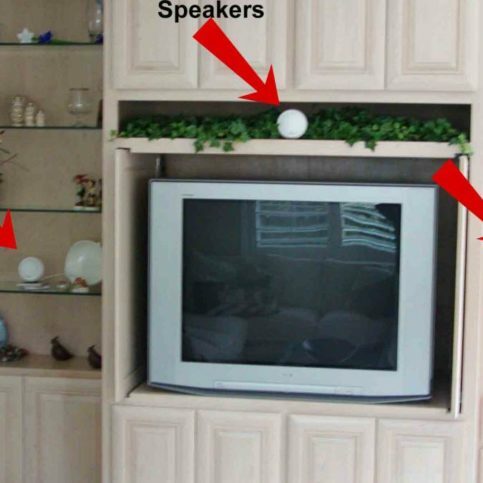 If you’ve ever moved into an unfurnished house or apartment, you’ve undoubtedly noticed that the interior sound is thin and tends to echo. That’s because furnishings have a dramatic effect on the nature of sound. The same principle applies to home theaters—a large part of what you hear depends on the room itself. While mastering room acoustics is a complicated discipline, there are simple things you can do to improve your theater’s audio output. First, consider the types of surfaces in your room. Are there a lot of hard, reflective materials, such as wood floors, mirrors and windows? If so, sound will bounce all around the room and diminish audio playback quality. Conversely, if you have a carpeted room filled with sofas, heavy drapes and other soft materials, the sound will be absorbed. To get the best audio, you need to strike a balance between the two. Generally, the front of the room should have more absorbent materials—especially between the front speakers and the seating area where first reflections (high frequency sounds) occur. 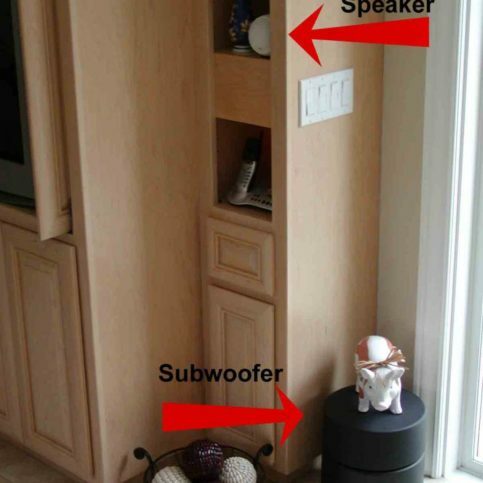 If first reflections aren’t stopped by acoustic damping materials, they’ll continue to bounce around the room and cause distortion. 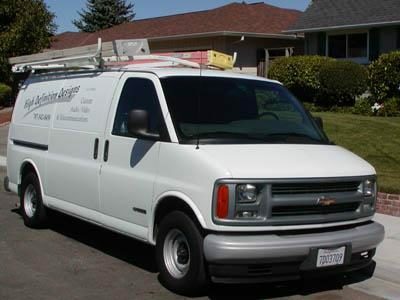 Start by carpeting hardwood, tile or concrete floors. Add some window treatments to dampen sound (and also keep ambient light at bay). Opt for upholstered furniture over wood or leather. The back of the room needs acoustically “live” materials to add life to the audio and help break up sound. Consider having an audio/visual professional install an acoustic diffuser and fine-tune your room’s acoustics with a combination of treatments, including bass traps and panels. 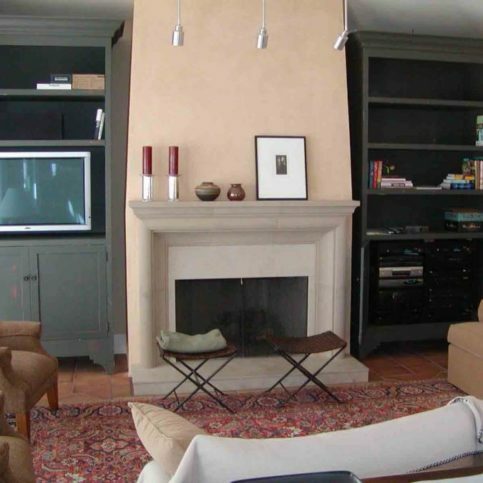 Bright room colors can actually hurt the image being displayed on your TV or projector screen. If you paint your walls bright red, for example, the picture will have a reddish cast, because light from the screen will reflect onto the sidewalls and bounce back. For this reason, many high-end theaters are dressed in brown, grey, black or other dark colors. These deeper hues absorb light rather than reflect it back onto the screen. While it’s tempting to make the entire front wall of your theater one gigantic screen, that isn’t always the best option. It’s important to consider your viewing distance relative to screen size. If you sit too close or if the screen is too large for the room, you’ll start to see the display’s pixel structure. 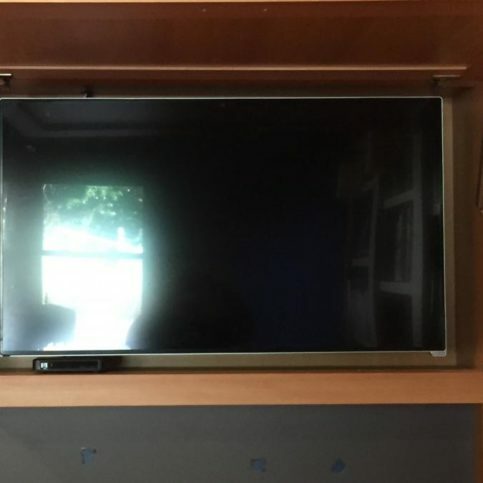 If you sit too far away or if the screen is too small for the room, you’ll lose the overall impact of a big screen, which defeats the purpose of having a home theater in the first place. Luckily, high-definition displays let you sit closer to the screen than ever before, which means you can put a larger screen in a smaller theater. Professional opinions are divided on appropriate viewing distances. THX recommends you divide your diagonal screen size by 0.84 for 1080p displays, while others recommend multiplying diagonal screen size by 1.5. 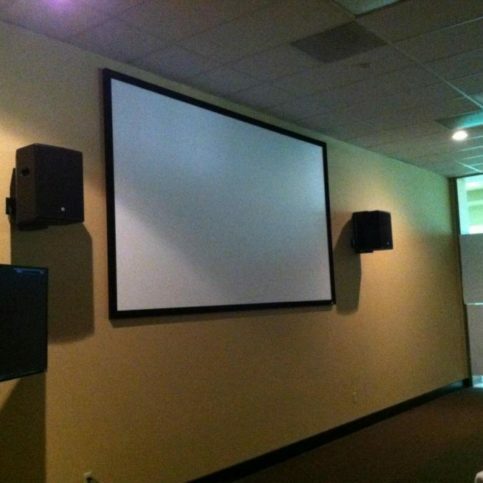 For a 120-inch screen, the latter calculations produce a recommended viewing distance of 15 feet. 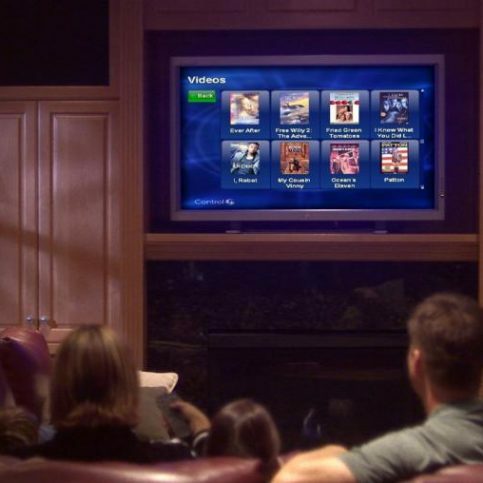 Each home theater device comes with its own remote control, so consider purchasing a high-quality universal remote to save space and simplify operations. Make sure you purchase a backlit device, too—it’ll help you locate buttons in the dark. Q: How long will my installation take to complete? A: It depends on the system, but it usually doesn’t take more than a few days. Retrofit jobs can typically be completed in less than a day. We’ll give you a solid estimate of how long it will take, although with new construction projects, we’re usually at the mercy of the overall progress of the construction. Q: Will the equipment be kept out of sight? A: Yes. 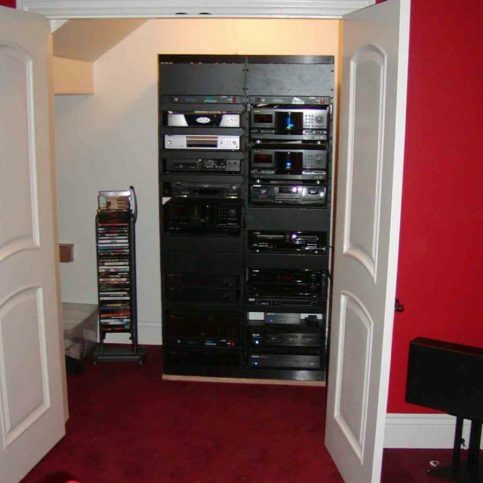 All the equipment we sell and install is designed to be hidden and operated by remote control. Q: Are your systems easy to use? A: Yes, we design them to be easy to use. Most systems can be operated with the push of a button or two. Q: Have you had any security problems while working in people’s homes? A: No. We’re a small firm—there are just three of us—and we’ve never had any issues with security since we started the company in 1991. 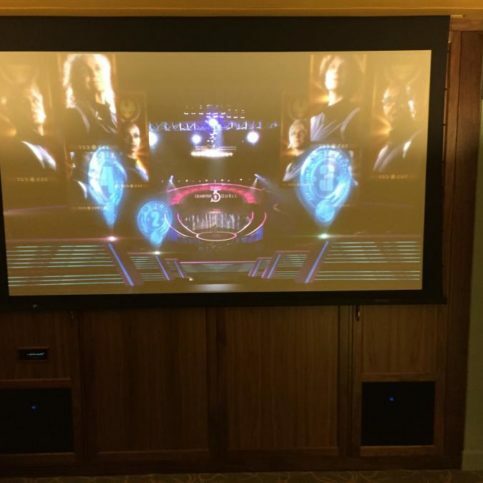 Eliseo “Tito” Pabon is a veteran of the home theater and automation industry and owner of High Definition Designs, a Diamond Certified company since 2005. He can be reached at (707) 992-5999 or by email. A resident of Petaluma, Tito expresses his appreciation for the North Bay climate and the active lifestyle it promotes. “I’m an avid cycler and I love the outdoors, so the weather is perfect for me,” he affirms. “I also enjoy playing tennis, going on walks with our dogs and doing landscaping projects around my house.” Besides enjoying the local lifestyle, Tito takes regular trips to the East Coast to visit his son, Joshua, who is a postal carrier in New York City, and his daughter, Jocelyn, who runs a small business in Baltimore. A: The New York Yankees and the New York Giants. A: It’s a toss-up between Sugo Trattoria and LUMA, both of which are in Petaluma. A: CDs, records and digital music. A: Either the guitar or the saxophone. PETALUMA — When hooking up a new A/V receiver, one worthwhile measure is to label all of the cables. 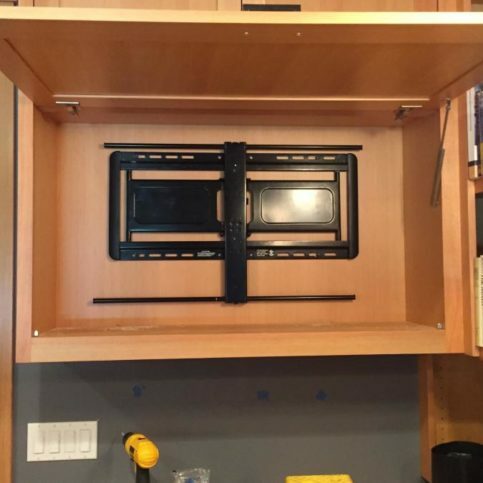 While easy to overlook, this simple step can save you a lot of time and trouble if you ever need to disconnect or relocate your receiver in the future. Few people realize that most A/V receivers come with pre-printed labels for just this purpose. As you connect each source (TV, CD player, etc. ), simply find the corresponding label and attach it to the cable. That way, should any of your cables get disconnected, you’ll know exactly where to reconnect them. Today’s high-end receivers come with labels for just about every kind of component, so you shouldn’t have a problem ensuring accuracy. So, don’t throw out those labels—use them! PETALUMA — Host, Sarah Rutan: When connecting your new audio/video receiver to its various components, an important step is to label your cables. Today we’re in Petaluma with Diamond Certified Expert Contributor Tito Pabon of High Definition Designs to learn why. Diamond Certified Expert Contributor, Tito Pabon: Okay folks. What I have here are the typical cables you will see behind an audio video receiver, and what I have on this side are labels you will typically find in an audio receiver box. This is the portion of the box that’s usually discarded and the one that can probably be the most helpful. These are labels that will help you identify where these cables to go other than the back of the receiver. Once connected to a source, or say a CD player, DVD player, regardless of what type of cable it is, you peel off the matching label, stick it around the cable, and connect it, and you do that with each cable for every source that you have. In this way when you pull that receiver or should it ever get pulled, these guys will become dislodged. You will now know where to put them back because they are labeled and these guys have labels for just about everything you can connect to a particular receiver. High Definition Designs : Average 9.4 out of 10 based on 230 unique customer surveys of customer satisfaction. Nothing really, we were just very happy with them. They were prompt and skillful. I would say that their customer service is second to none. They will give you only what you want, and they back it up long after they have done the installation. The gentleman, Tito, was more accommodating than almost any other business I have dealt with. It was like dealing with family. I think they are very responsive, reasonable, and very knowledgeable. They were here when we needed them, and they were able to explain things in a way that we could understand. The proprietor is a very honest and hardworking guy. He is prompt, efficient, friendly, and professional. He is a good guy. He did what he was supposed to do. I would say that Tito, I think that is his nickname, is extremely knowledgeable and stands by his work. If anything doesn't work, he'll be right back to handle it. Confidence, good ideas, reliability, responsiveness, and a great sense of humor. I would tell people to use them. I have already referred a number of people to them. They show up on time, and they do the job. The main thing is that they are extremely reliable when you have any issues with the system. They are courteous and easy to deal with. They're great. If I have a problem, I call, and they take care of it or come out and take care of it. I've known them for many years. They're always able to make things work like they should work. Definitely hire them. They're dependable, honest, and I thought, reasonable. I felt I could trust them. They are trustworthy and do quality work. They do what they say they are going to do, and they do it on time. Whenever I call, they respond, and that's the best you can ask for. I'd give them a card, because I have their business cards on hand, and I'd tell them to call for sure. They have great service and enough knowledge. I think just knowing that I can call and I don't need to worry about anything electronic. Whether it's my computer, printer, TV, or my connections, they handle everything, including buying and installing my TV, one-stop shopping.